If you have ever have taken a moment to see how things in your neighborhood change via Google, you may have noticed your neighbors moving cars on the days of street cleaning or when someone’s lawn has miraculously gone from dirt to a lush green overnight. In it’s quest for Street View accuracy, Google fans have become sleuths, of sorts, looking for the unique, funny, odd, and just-plain-strange events that may have gone unnoticed were it not for modern technology. One of those little surprises has caught some attention in the form of a cat who was captured staring back at a world peering into his private domain. 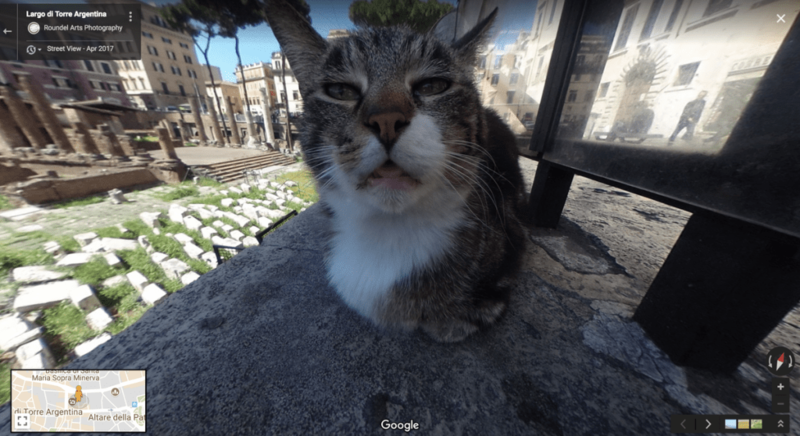 Upon further investigation, it turns out, he is one of many cats that live at a Roman cat sanctuary. The photo was posted by u/Belocity and along the way to garner the kitty fifteen minutes of Internet fame, garnered a fun series of comments by fellow Reddit users. TubePanic identified the location proclaiming: This is the cat sanctuary of Torre Argentina! 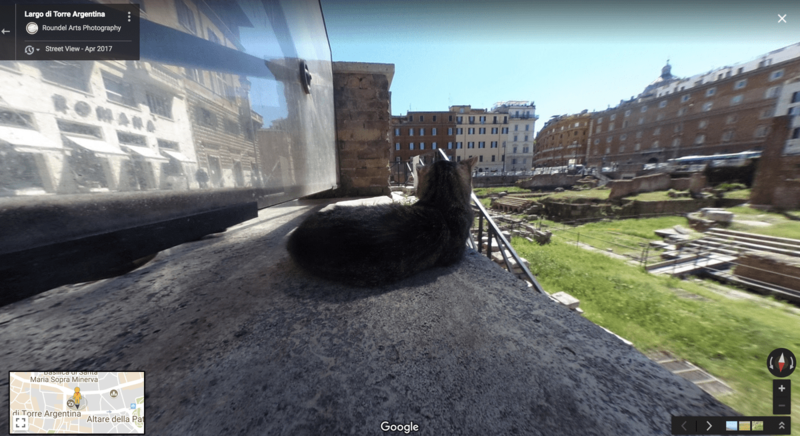 If you visit during the day you will find tens of cats laying around the Roman ruins; some are friendly and will approach you, and most are up for adoption. While the image continues to change, and the cat has moved elsewhere, for the time being, there is still a link to the archive so yo can visit Google kitty any time you wish.